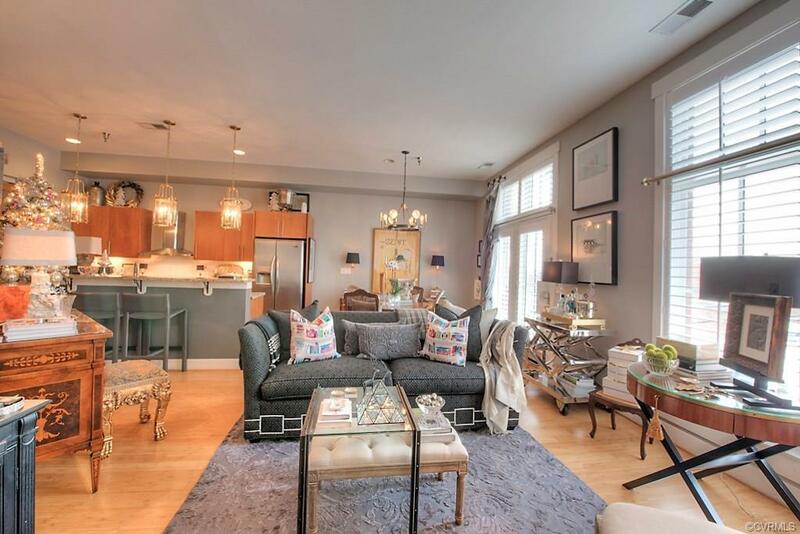 Luxurious, designer loft sited on a premier block in Historic Shockoe Bottom! 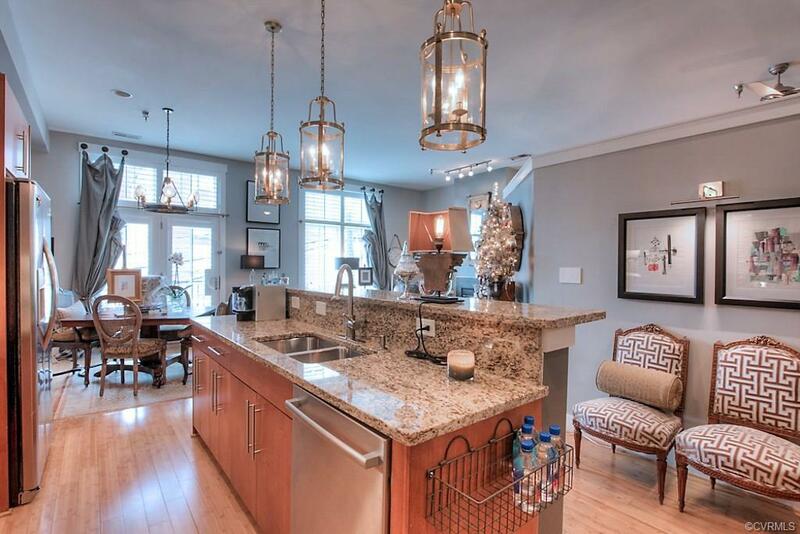 Wonderful opportunity to be in the heart of a vibrant neighborhood with amazing walkability, just steps to the James river, Capital Trail, bakeries, restaurants and grocery. The 2 bedroom, 2 bath unit offers a spacious, open concept layout that is perfect for entertaining with soaring ceilings and massive casement windows providing incredible natural light and wonderful city views. Enjoy the gas fireplace flanked by custom shelving and the impressive kitchen which has a 9ft granite center island and serving bar lighted by custom brass pendants, gas cooking with Broan stainless hood and great counter space and cabinet storage. Beautiful bamboo wood floors throughout the living areas and guest bedroom/study with glass gliding doors. The 2017/2018 designer upgrades include one touch lighting system, custom closets, Custom draperies, NEST thermostat & smoke detector system, new washer/dryer, dishwasher, Plantation shutters, and a 2015 Lennox HVAC system. 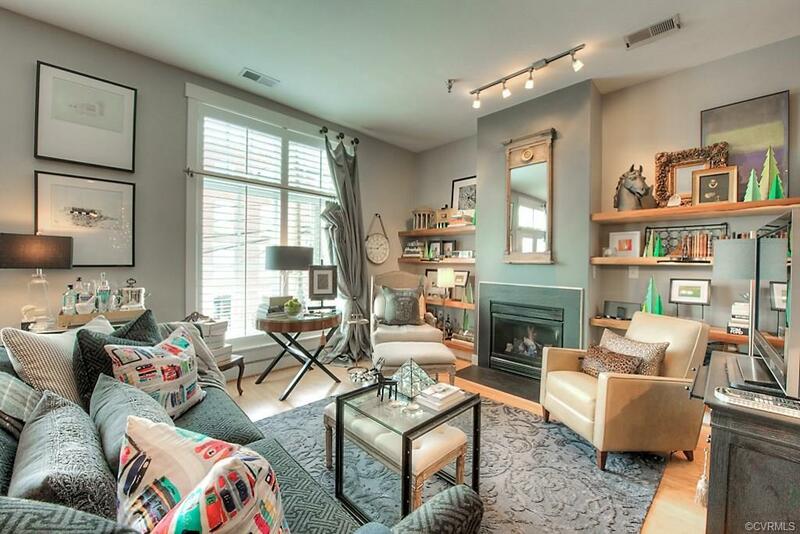 Don't miss the secure covered parking and deeded storage unit on the lower level. 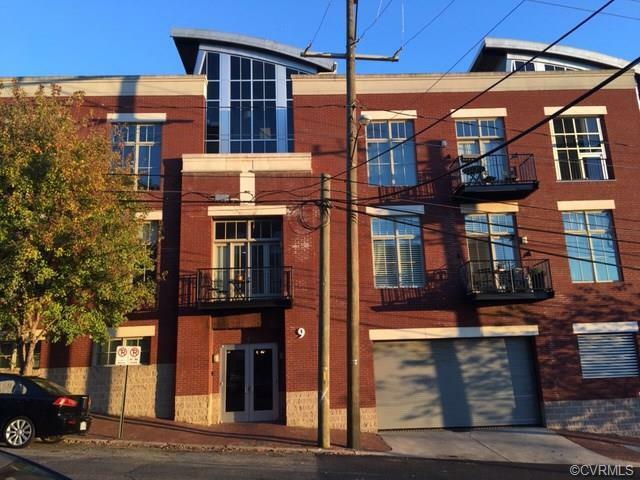 Amazing location with a short walk to Church Hill, Libby Hill Park and MCV!